I’m a breakfast person and love smoothie bowls filled with goodness of fruits and nuts. 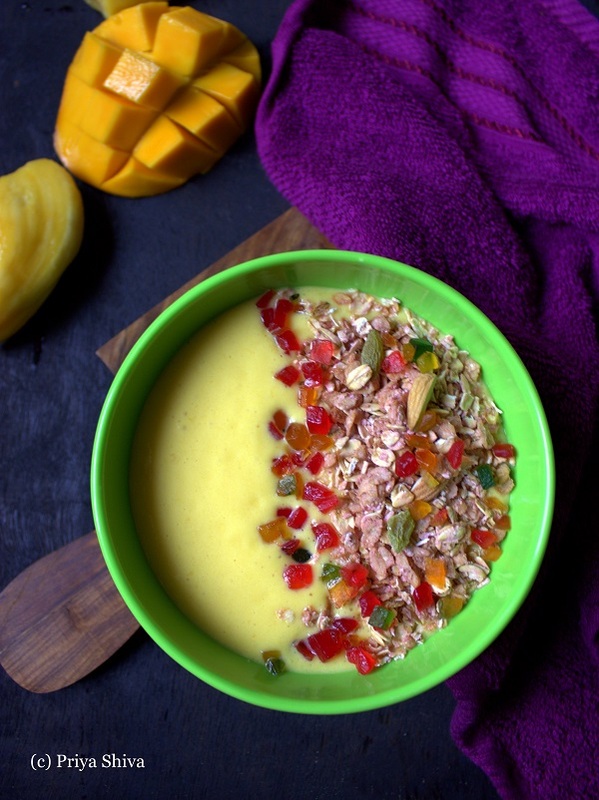 So, I’m sharing an easy Jackfruit Mango Breakfast Smoothie Bowl recipe today. It’s the season for mango and jackfruit and the market is flooded with these fruits. I even found a big jackfruit tree near my house and even wished that the ripe jackfruits will fall down and I could catch them. I know its so childish but don’t we all love being a child again? Its good to be childish sometimes and laugh at yourself :)..
Breakfast is the daily fuel for me. I can’t think of running around whole day doing my daily chores without a wholesome breakfast. 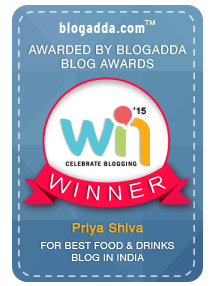 You can check out few other favorite breakfast recipes on my blog like – Eggless whole wheat Cucumber muffin, Eggless Apple pancakes, whole wheat banana bread etc..
Are you a breakfast person? 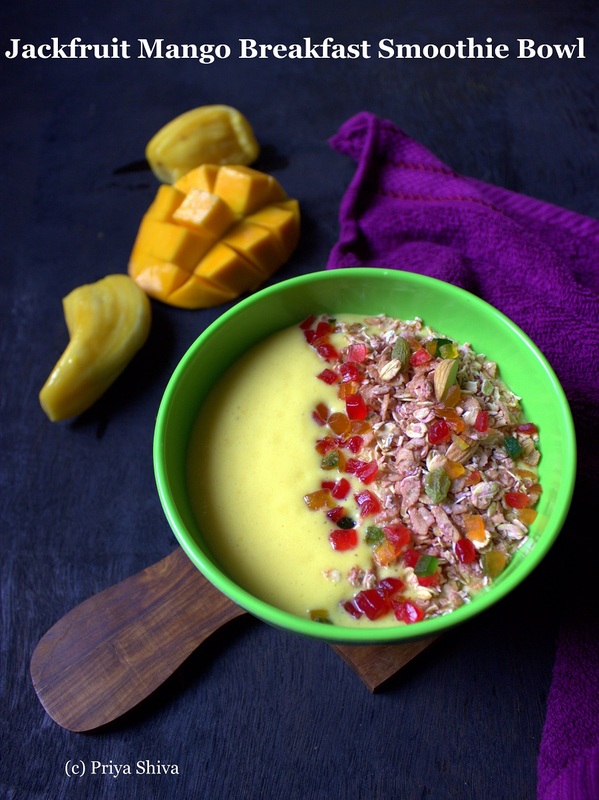 Then check our this easy Jackfruit Mango Breakfast Smoothie Bowl recipe filled with goodness of fresh fruits and nuts. You can prepare this breakfast bowl in flat minutes and serve. Add chopped mango, jackfruit, cardamom pods, milk in your blender and blitz it until smooth. Pour the content in 2 bowls. Add muesli, broken almonds, raisins, candied fruits in the bowl. I have not added any sugar as the fruits add the sweetness. You can add extra sugar as per your taste. LOVE LOVE LOVE!! Jackfruit in a smoothie bowl.. Double thumbs up. 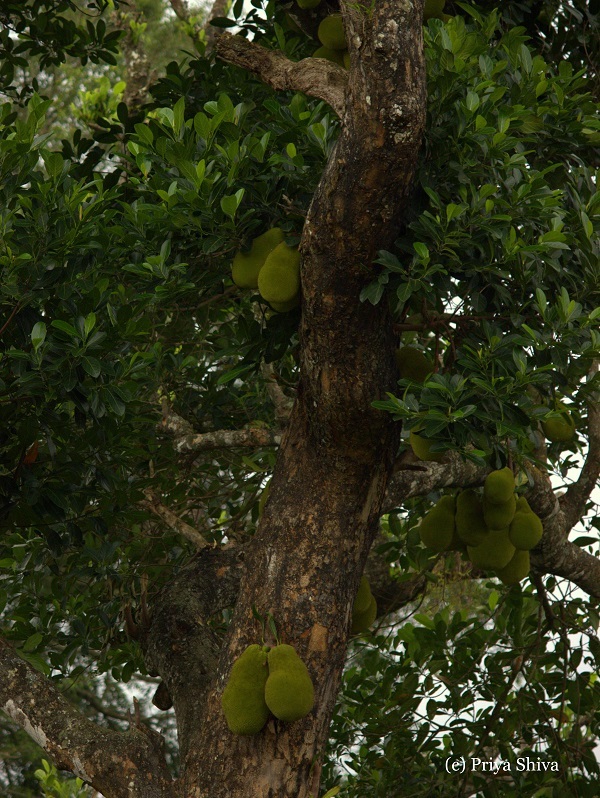 Did you know that jackfruit is the fruit profile they used to develop Juicy Fruit gum?!! True story! This is such a pretty bowl! Love the colors! I have never had jackfruit before but I love mango! I’ll have to see if I can find it in my area! Love breakfast smoothies!